In the 1932 Winter Olympics at Lake Placid is where 16-year-old figure skater Sonja Henie won an Olympic gold medal in 1932 and charmed the world, and in 1980, the US men’s hockey team beat the Soviet Union, securing the gold medal. Even now, aspiring professional athletes make their way to Lake Placid for training and competitions at the Olympic facilities. A visit to Lake Placid would be less than complete without a trip to the Olympic Center. Get a history lesson at the Lake Placid Olympic Museum and visit the sports and jumping complexes where you can experience the bobsled, luge, and even peer down the ski jump. For those who want to explore nature, there are fantastic summer hiking trails for all levels of hikers. One of the most scenic views is on Whiteface Mountain where you can drive up to the visitor’s center and then hike to the summit. 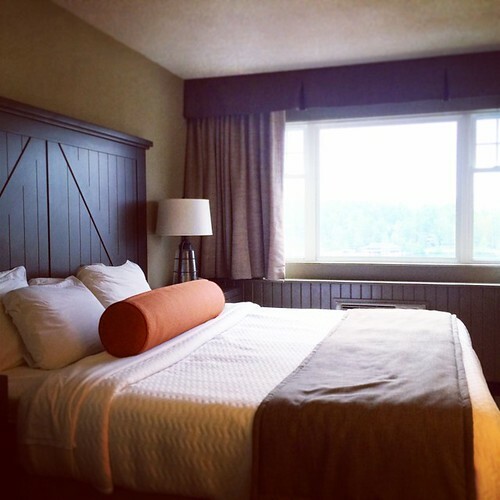 After your day of exploring Lake Placid and the beautiful mountainous neighborhood, make your way to the Hotel North Woods to get some rest. 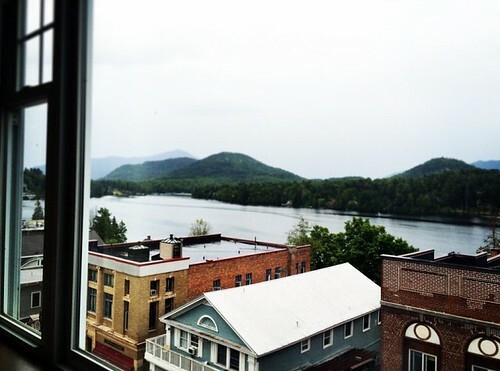 Nestled in the heart of town, this historic landmark hotel offers Lake Placid hospitality at an affordable price. 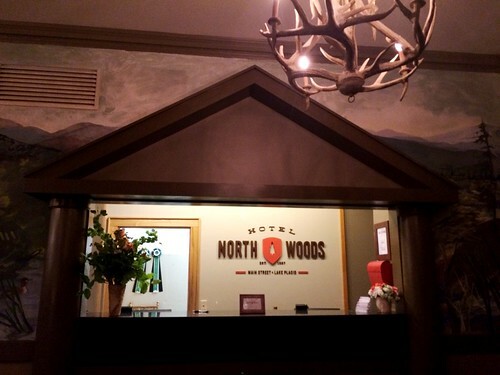 Before the most recent updates the hotel was previously the Northwoods Inn, and before that the Hotel Marcy. 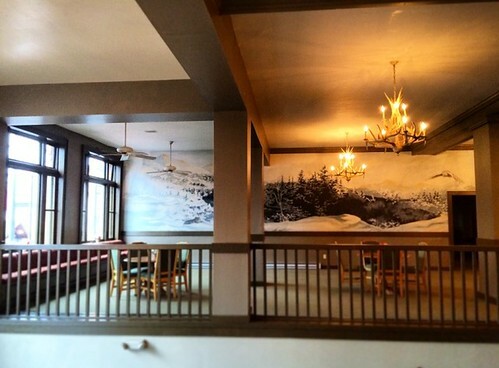 In 2005, four Cornell Hotel School Graduates bought the property and updated it with modern amenities, turning it into one of the most memorable hotels in Lake Placid. Just look at this stunning view from the bedroom window! In 2012, the restaurant nestled on the first floor of the building was rebranded as Delta Blue and added live music nights. Open Mic Blues Jam was born on Wednesday nights, and world class Blues Artists began to appear weekly on the Main Stage. From this beginning, The Lake Placid Blues and Heritage Festival was born, which now occurs annually in the summer. 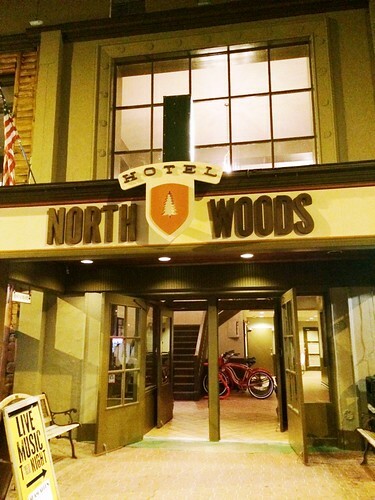 Hotel North Woods is located right on Main Street with easy access to nearby shops and restaurants. 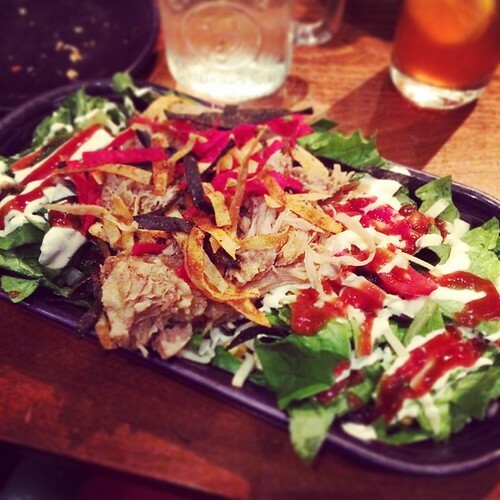 After getting settled in our rooms, we wandered over to Smoke Signals across the street to enjoy some delicious BBQ, where all meats are smoked in house and everything is made from scratch. 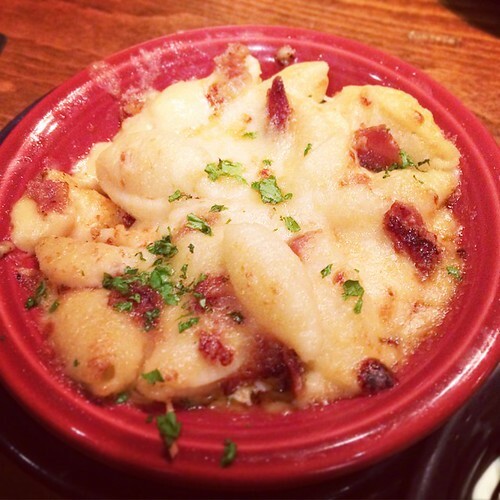 Portions are hefty, so come hungry – and do try the mac and cheese! 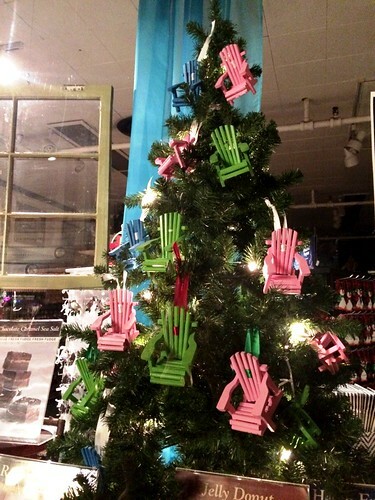 After the big feast, walk it off down Main Street for a little bit of window shopping. 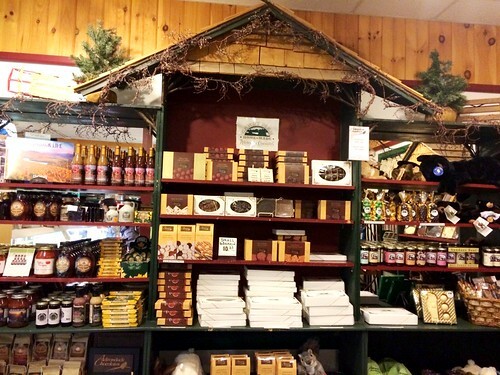 The impressive display of the Adirondack Chocolates store led us inside to pick up gifts to bring back. Walking even further takes you to a candy shop, a restaurant of crepes, ice cream parlors, and lots of boutique shops for more shopping. 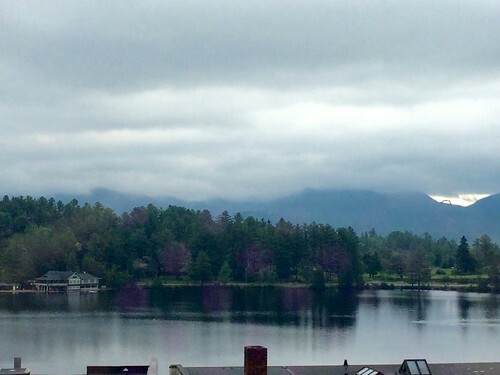 If you need a reprieve from the hustle and bustle of city life, plan a trip up to Lake Placid for an escape to nature.